This introductory course is intended for those 13 years of age and over who are just beginning their refereeing career. 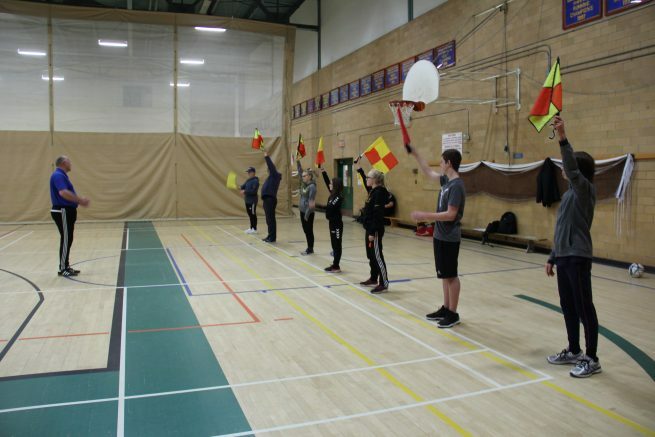 It focuses on the practical aspects of refereeing for primarily youth (12U – 18U) games. Notes: Both Modules (days) are mandatory for completion of every Clinic. Pre-registration is required for the Entry Level Clinic. Please also complete the Pre-Course study guide, using the Laws of the game handbook. Note 1: For the Small Sided Games and Entry Level Clinics, please bring appropriate clothing for running as there will be practical exercises as well as theory. Also, please bring a pencil and notepad for your personal notes. All other course materials (whistles, handouts, etc.) will be provided. Note 2: Upon completion of the course, successful candidates must provide their own full referee uniform (shirt, shorts, socks). Before registering for a clinic, please ensure you're currently registered as a referee by filling out the Referee Registration Form. Avant de vous inscrire à une clinique, assurez-vous d’être inscrit comme arbitre en remplissant le Formulaire Inscription d'arbitres.